Rancho Style features Long Beach Cliff May Ranchos for sale. This listing page includes properties represented by Doug and Rochelle Kramer, and properties by brokers for whom we have a special marketing agreement. 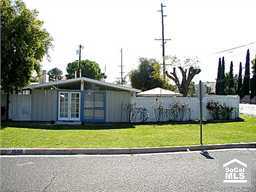 Occasionally we will feature Cliff May homes for sale in communities beyond Long Beach. Click on the photos below to review the properties that are of interest to you. 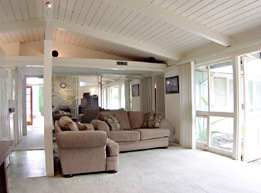 And be sure to visit this section often, as listings are added and updated on a regular basis. For more information on a featured listing, please contact Doug. 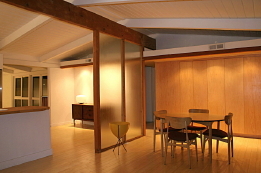 If you are interested in listings for other mid-century modern homes, please visit www.socalmodern.com. This home has been leased. The accuracy of all information regardless of source, including but not limited to square footages and lot size, is deemed reliable but is not guaranteed and should be independently verified through personal inspection by and/or with the appropriate professionals. RanchoStyle.com is not a search engine, nor is it intended to replace a search of the appropriate MLS for complete information regarding properties for sale.